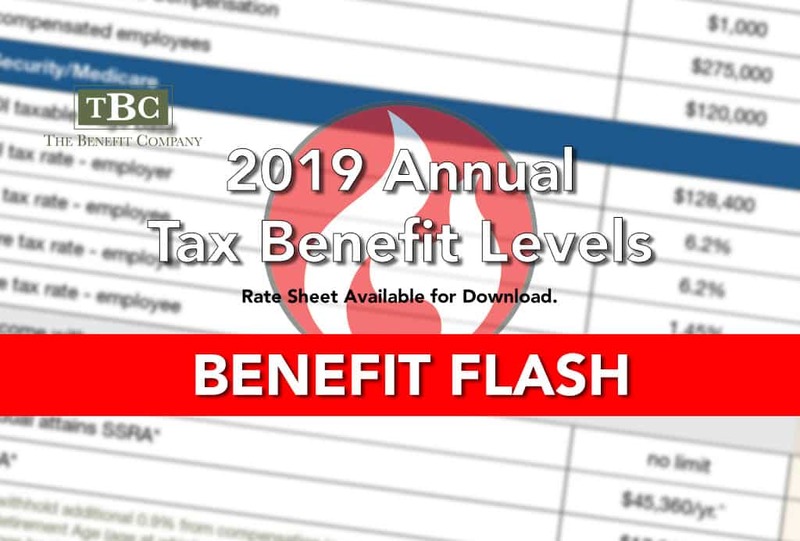 We are pleased to release to you the new 2019 Annual Tax Benefit levels. Call us if we can be of assistance in leveraging any of these tax efficient tools and strategies to your organization’s benefit. 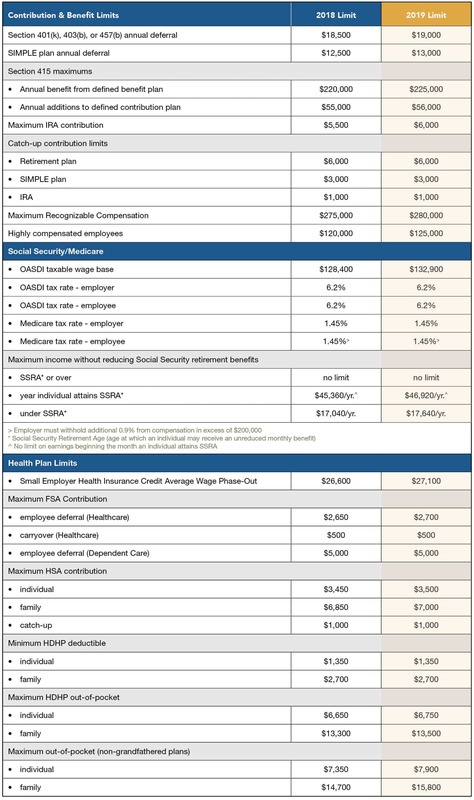 This rate chart can also be downloaded and printed from our web site.